Here are my DraftKings driver points and price/point predictions for today’s Talladega II race. To predict how many DraftKings points each driver will score today, I plugged my final driver rankings for today’s race into my projection model, and the starting lineup. Then, to calculate each driver’s price/point, I simply divided each driver’s price by their predicted points. 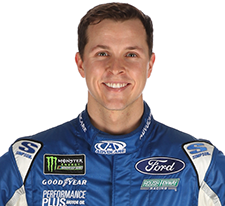 This entry was posted in Race Previews, Updates & Recaps and tagged DraftKings, handicapping, Talladega on October 15, 2017 by Jed Henson.